You've been doing so "good." You’ve been “eating” well for weeks or months, politely turning saying “No thank you” to sugary desserts, salty, processed carb snacks. But then "It" happened—something stressful, heartbreaking or life-changing. Perhaps a loved one died; your husband or wife called it quits; you’ve been feeling anxious, traumatized or depressed.. So what do many of us do when times get tough? About two-thirds of you—mostly females—rush for “comfort” in the sugary, salty, fatty, carb-rich junk foods you’ve been avoiding. You feel guilty, disgusted, frustrated, helpless, and full of self-loathing that you had no control. “I Blew My Diet!,” you wail to loved ones. 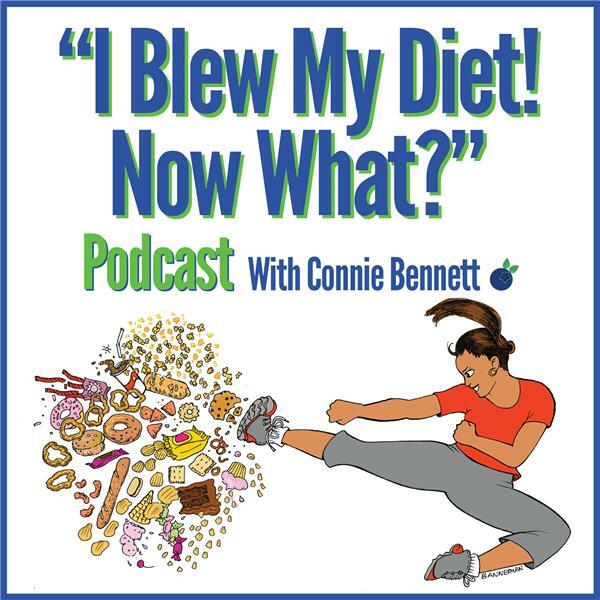 This podcast—which is hosted by veteran Gab with the Gurus host, former sugar-addicted journalist and bestselling author Connie Bennett—will help you discover, “Now What?” You'll get inspired by Connie, author of the bestsellers, Sugar Shock and Beyond Sugar Shock, and empowering guest-experts, who will help you discover how to learn from your dieting “failure,” Unleash Your Willpower™, and get the slim body and beautiful life you crave. Join Connie every week in short Start-Again Monday episodes. In addition, catch invigorating insights and ready-to-implement action items from renowned guests in health, weight loss, fitness and personal empowerment.